BUENOS AIRES, Argentina — Argentina star Lionel Messi admitted Friday to being upset with constant criticism in his homeland, saying in an interview that even his 6-year-old son asks why his countrymen attack his performances for the national team. Many Argentinans feel Messi doesn't have the same enthusiasm for international soccer that he does for his club Barcelona. They also questioned his silence after being eliminated from last year's World Cup by France, something Messi said he wanted to forget. "I wanted to distance myself from the team, let time go by and cool myself. It was painful to end the cycle this way," Messi told radio Club 94.7. "Many people said I should not return (to the national team). Family, friends. My 6-year-old (asked me) 'Why do they kill you in Argentina, daddy?'" "Those that don't like me will have to stand me a little longer," Messi said, adding he had already achieved "extraordinary things" with Argentina, including "a World Cup final, two Copa America finals, and that is not easy." 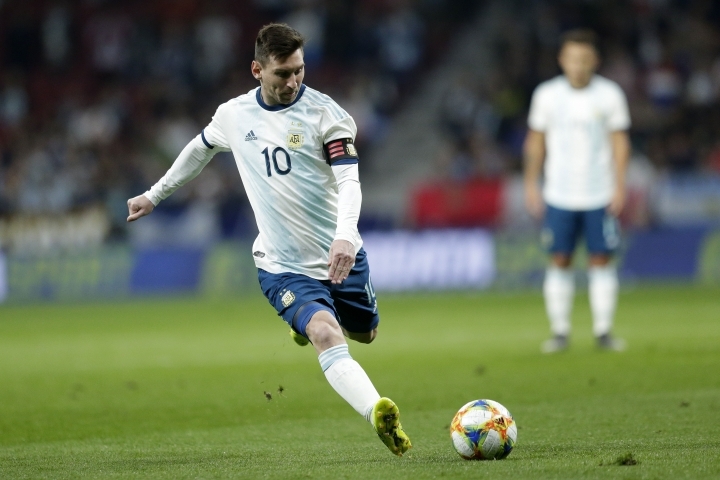 The five-time Ballon D'Or winner said he doesn't need to say he loves Argentina "in every instant" because he expresses his passion for his home nation "in another way." Messi also denied he decides who plays for the national team. "We have heard about this 'club of friends' thing for years. They say I pick the players, the coaches. I basically manage the whole AFA (Argentina's soccer association)," he ironically said. Messi pointed out that average Argentinians are kind with him whenever he visits the South American country. "I get upset that people are lied to," Messi said. The striker insisted his absence in Argentina's 1-0 victory in a friendly against Morocco in Tangier on Tuesday was due to injury. "I have a groin injury since the break in December and I have trained less, I haven't played all the matches," he said. Before the win, Argentina lost to Venezuela 3-1 in Madrid in a friendly that marked Messi's return. Scaloni said after that match that Messi will surely play in this year's Copa America, June 14 to July 7 in Brazil.